Months ago I went on a thrifting excursion with Christina (Full House), and she was on the hunt for some gold or brass flatware. 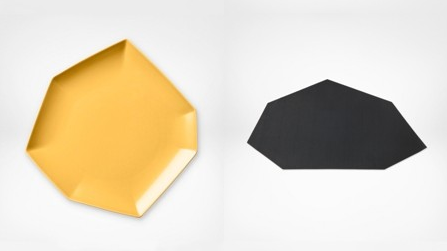 I haven't stopped thinking about the idea of having a gold set of my own. 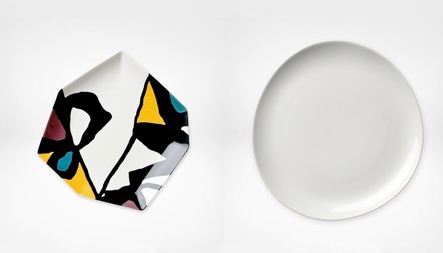 I'm loving this one, along with these fun platters and plates, from the brand new Diane Von Furstenberg home collection. I love the color of that silverware...that would be fun! Ahhh DVF... why must you be good at everything? 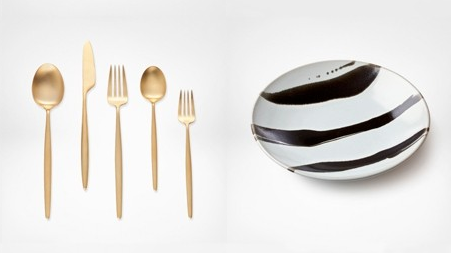 That flatware is really fabulous.